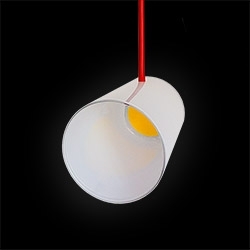 WHITE GLASS by Proyecto Digital is a minimal pendant light made out of mouthblown glass and COB leds. 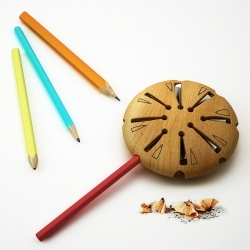 Lollypop is a wooden pen sharpener that has eight holes for pencils in different diameters and also different cross section. 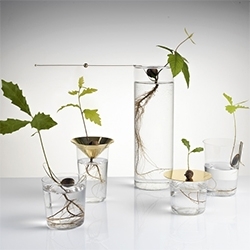 Designed by Hakan Gürsu of Designnobis, Lollypop was honored in A' Design Award 2014-2015 with a golden award. Snarkitecture x PAOM Architectural Camouflage. 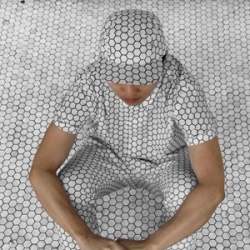 This new series of apparel uses allover prints of white building materials that allow the wearer to blend into their architectural surroundings. 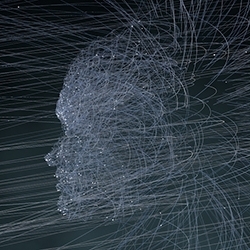 VIDEOWhat happens when you combine particle physics, optical illusions and NASA Voyager recordings ? this...'Particle Man'. 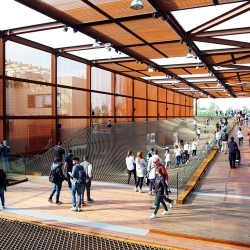 Studio Arthur Casas has suspended a huge rope canopy over a planted garden area inside the Brazilian Pavilion for Expo Milano 2015. 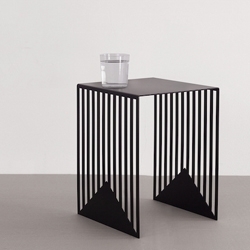 Zick Zack Table by poland designer Olga Bielawska. 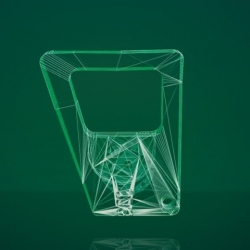 Heineken has released a set of 3D printable items that will let you enjoy a good beer during European soccer matches. 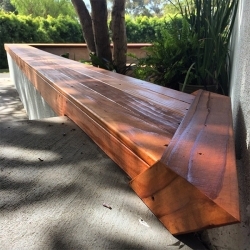 FEATUREDThe latest NOTlabs project in progress - redwood rolling gate and bench/top to our large triangle planter... as well as a few new tools and a garage shop update! 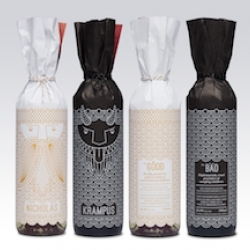 Hand-wrapped labels and custom boxes for Krampus and Nicholas (red and white) holiday wines. 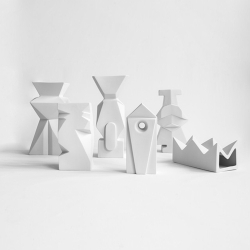 Maija Puoskari's Tyyni (which means calm and serene) - "Finland’s most famous mountain Saana and the lake Kilpisjärvi were the inspiration for this work. 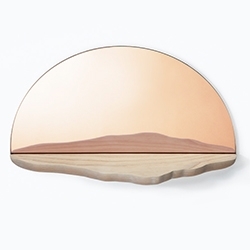 You can see the reflection of the mountain in the mirror." 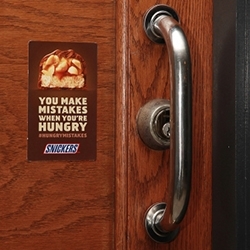 You Make Mistakes When You're Hungry - great guerrilla campaign for Snickers... stickers spread throughout the city highlighting mistakes. 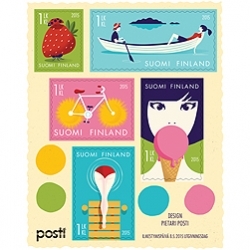 Pietari Posti’s Summer feeling Finnish stamp sheet comprises five stamps depicting traditional Finnish summer highlights! 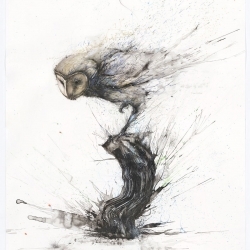 Street art meets traditional Chinese art in the splashed ink works by Hua Tunan. 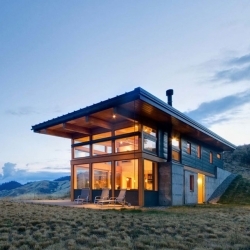 Nahahum designed by Balance Associates Architects, is a two-story home north of Cashmere, Washington. 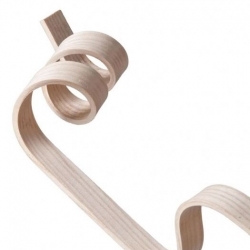 A look at the Hot Pipe wood bending technique with Core77. 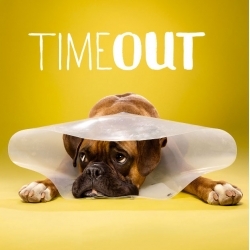 Time Out, a new series by Ty Foster, featuring dogs in their cones of shame. 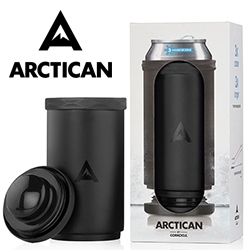 Arctican that keeps your cans cold with a cooling core for up to 3 hrs - from the folks behind Corkcicle. 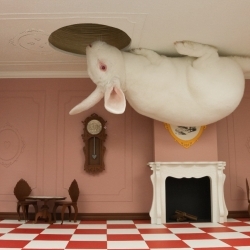 VIDEO'Alice’s Adventures in Paperland with Moleskine' Directed by Rogier Wieland, these videos were made for Moleskine to show their Alice in Wonderland Limited Edition Notebooks. 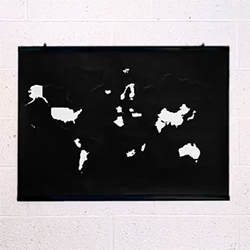 VIDEOAdventurous video showing an „analog“ way to mark the visited places from all around the world. 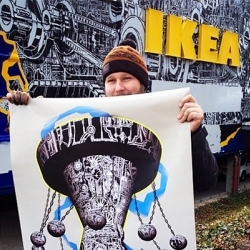 By Bold Tuesday. 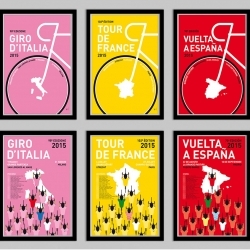 2015 Grand Tour Cycling Posters by Dutch designer Chungkong. 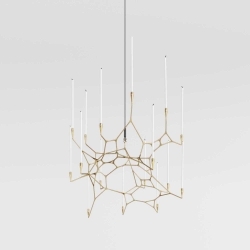 MIT professors Brandon Clifford and Wes McGee (aka Matter Design) craft 3D printed, brass chandelier called Knotta that breaks from the tradition of the radially symmetric typology. 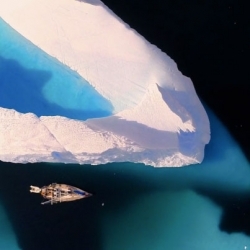 VIDEOAntarctica by drone captured by Kalle Ljung. 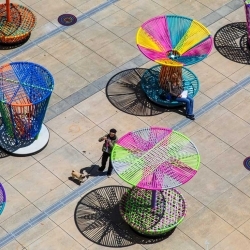 Three Machines on Transparency by Jasna Dimitrovska. 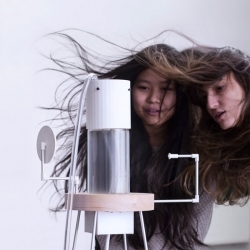 The Gaze, is a prototype of an observational device made out of led light, glass object filled up with glycerine and pump. 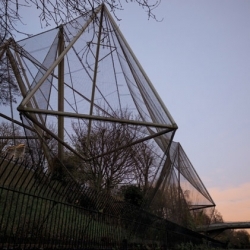 ICON on the architecture of London Zoo. 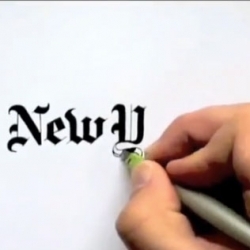 VIDEOSeb Lester hand draws iconic logos with stunning calligraphy. Weiwei Wang's Slow Tofu Kit, a portable tofu-making kit. 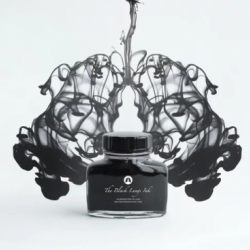 Working with medical faculty at Chulalongkorn University, BBDO Proximity Thailand produced a black ink made from materials extracted from lungs donated after death by longtime smokers. 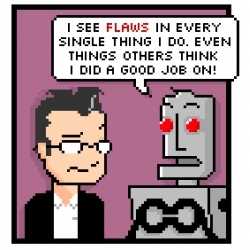 Is this you too? Wait for the punchline... another great comic from Diesel Sweeties! 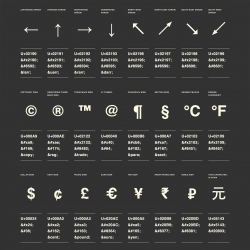 Blending beauty with utility, HTML Arrows is a web design resource for all those HTML, ASCII and HEX symbol codes you can never remember. Handmade wooden suitcase from the crew at Great Depths. 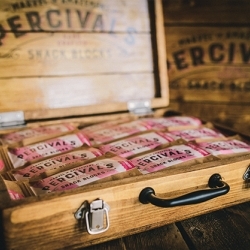 A premium merchandising unit made to display Percival's wondrous wares! Business Town! 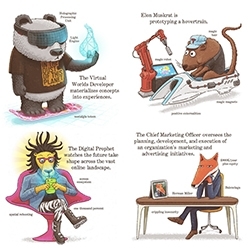 What Value-Creating Winners Do All Day - "An ongoing project attempting to explain our highly intangible, deeply disruptive, data-driven, venture-backed, gluten-free economic meritocracy to the uninitiated. 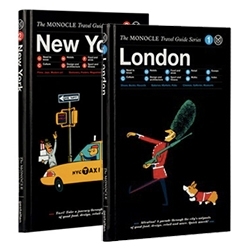 With apologies to Richard Scarry." 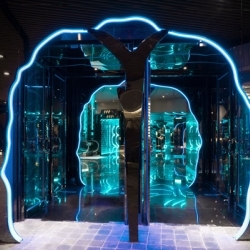 A cinema at Langham Place, Hong Kong titled Carmen Future takes its name after Wong Kar-wai’s 1988 film As Tears Go By, or Mongkok Carmen in Chinese. 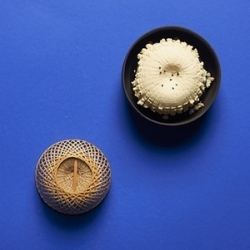 OLHO Vases in porcelain, by Cecile Mestelan, function as vases, and beautiful as sculptures. 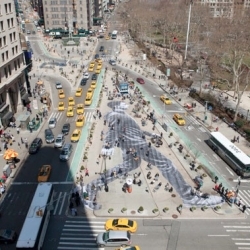 VIDEOFrench artist JR creates a walker in New York City for the New York Times magazine. 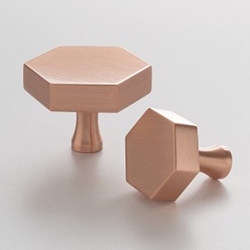 Beautiful crystal diagrams. 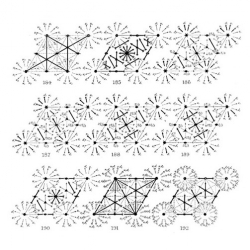 William T. Astbury & Kathleen Yardley’s Space-group Diagrams. 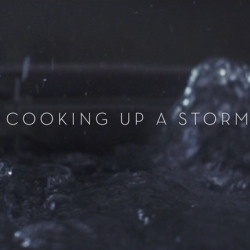 VIDEO"Cooking Up A Storm" a blustery short film from the folks at Bruton Stroube Studios. 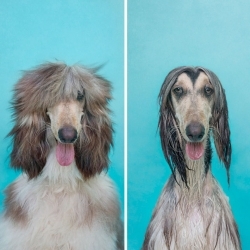 Creators of "Breakfast Interrupted." 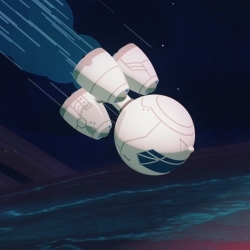 Pete Mellor creates a beautiful 12 min short “Saving Joule”, for the Mishkat Interactive Centre for Atomic and Renewable Energy in Saudi Arabia. 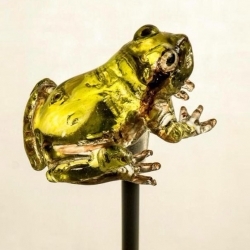 Fasted by Studio Dessuant Bone. 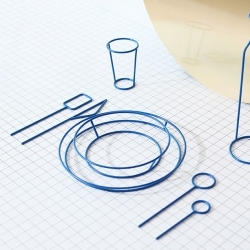 Tableware stripped of its function. 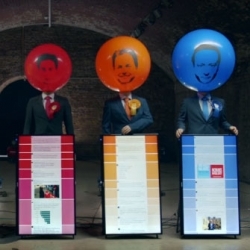 VIDEOInflated Egos - A fun interactive installation for the General Election where your tweets can inflate and deflate the heads of UK party leaders. 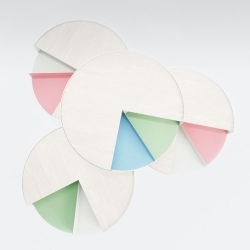 The Times 4 coffee table by Goncalo Campos for Polit combines storage with display, revealing just one quarter at a time.